As institutions of higher education embrace civic engagement, service-learning has emerged as a most effective way to engage students in field experiences where they will confront profound questions about the relevance of academic learning to addressing community needs. Each volume in this series is organized around a specific community issue, and provides multiple perspectives on both the theoretical foundations for understanding the corresponding issue, and purposeful approaches to addressing it. The contributors to these books – who represent disciplines in the sciences, humanities and social sciences – offer vivid examples of how they have integrated civic engagement in their courses, explain their objectives, and demonstrate how they assess outcomes. They provide a panoply of exemplary practice, insight, and course materials to enhance civic learning. Race Poverty and Social Justice and Gender Identity and Equity. Psychology, Rhetoric, Sociology, Women’s Studies. 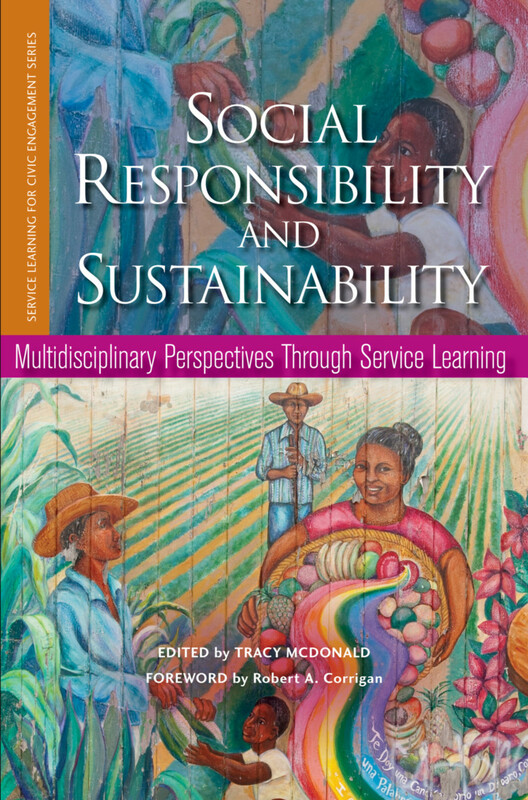 This concluding volume in the series presents the work of faculty who have been moved to make sustainability the focus of their work, and to use service learning as one method of teaching sustainability to their students. The chapters in the opening section of this book – Environmental Awareness – offer models for opening students to the awareness of the ecological aspects of sustainability, and of the interdependence of the ecosystem with human and with institutional decisions and behavior; and illustrate how they, in turn, can share that awareness with the community. The second section – Increasing Civic Engagement – explores means for fostering commitment to community service and experiencing the capacity to effect change. The concluding section – Sustainability Concepts in Business and Economics – addresses sustainability within the business context, with emphasis on the “triple bottom line”—the achievement of profitability through responsible environmental practice and respect for all stakeholders in the enterprise. "This collection of 11 essays promotes the connection between civic engagement, sustainability and environmental restoration. Divided into three sections, the essays cover how to cultivate environmental awareness in students and their communities, the importance of service-learning as a means of participating in a democratic society, and sustainable business practices (the so-called "triple bottom line"). The essays all stress service-learning in the context of educational institutions and the compatibility of making-money and acting socially responsible. The contributors are mostly professors of education, sociology, environmentally relevant science, business and management." "Case studies include a course that combined freshman writing with environmental mangagement, and a program in which college students worked with schoolchildren to grow food in urban "learning gardens"."